Epilators have come a long way in recent years, making it easy for people to remove hair from all over their body with little work. The face and neck are two of the most sensitive areas of the body, though, so it’s essential that you choose the best facial epilator that won’t harm your skin and leave behind unsightly bumps or redness. A facial epilator is made to work with the contours of your face and neck for the most efficient hair removal possible. They’re typically smaller in size and differ in features slightly than regular epilators, but it can be challenging to know the difference if you’re a beginner in the world of epilators. Our epilator for face hair reviews provide in-depth information for finding the best epilator for face and neck so that you can find the right tool for you. This epilator comes with a lot of extras and removes hair with efficient precision. Precisely remove facial hair by the root and cleanse skin pore deep with the facial brush. 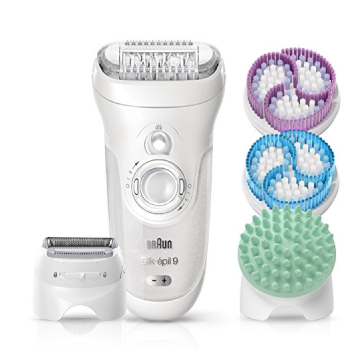 The Braun Silk-épil 9 9-961V Women’s Epilator is a full system for your skincare routine. The set comes not just with a wet and dry epilator head, but also with a shaver, a massage pad, and two exfoliation brushes to keep your skin its healthiest. People love the Braun Face 851 Women’s Miniature Epilator for its small, convenient size that makes it easy to hold when epilating the face. The epilator’s design makes it possible to remove even the tiniest hairs on the upper lip and chin areas. The Emjoi eRase e60 2-in-1 Epilator has 60 tweezers for fast hair removal all over the body, but also includes an attachment for sensitive areas like the face and neck that reduce pain. The Hangsun Hair Removal for Women Facial Epilator F230 charges quickly and provides up to 40 minutes of use. You can use the epilator on wet or dry skin for comfortable hair removal, and you can even switch the speed to meet the needs of your skin and hair. The Braun Silk-épil 5 Power 5280 Women’s Epilator is packed with 40 tweezers for close and quick hair removal. Use the handy Smartlight feature to light up the tiniest hairs to make sure you don’t miss any that are difficult to see. Our facial epilator reviews give you all the information you need to know to make an informed decision about the best epilator for face and neck according to your skin’s needs. 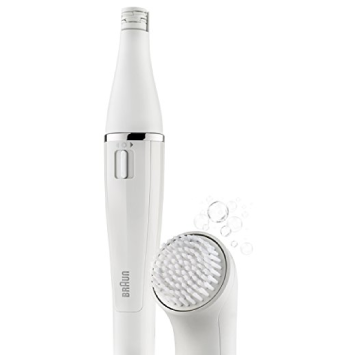 Although the Braun Silk-épil 9 9-961V will set your wallet back further than other epilators, it also offers the most value for your dollar. This isn’t just an epilator; the set also includes two exfoliating body brushes and a massaging head to calm your skin after epilating. You’ll also get a convenient storage back and a cleaning brush to help you remove stray hairs from your epilator and keep it clean for future uses. This epilator is one that isn’t just for facial hair, but it can also epilate your underarms, legs, and bikini area, so you can get as much use from it as possible. You’ll also benefit from the unique design that allows this epilator to contour to just about every curve of your face with ease, thanks to the pivoting head that moves with your body. Several customers – beginners and experts to epilation – love the smooth, long-term results they get from this epilator. This epilator by Braun is lightweight and compact, so it’s easy for you to hold in one hand. The detachable head makes it a breeze to clean after each use. Customers state that this epilator keeps most hairs away for at least a week, so it can reduce the time you spend removing facial hair. The Emjoi eRase e60 is a compact epilator that comes with an attachment perfect for face and neck epilating. This attachment reduces the discomfort you’d normally feel on sensitive areas by covering up some of the 60 tweezers. 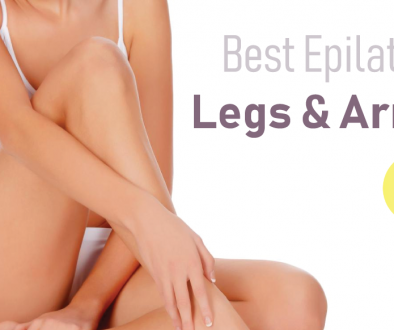 One of the best features of this epilator is its ability to stretch the skin while you use it. Having taut skin is necessary to keep the process as comfortable as possible and to remove hair efficiently. Customers note that, although this epilator tends to miss some of the tiniest hairs on your face, it offers a simple epilation that keeps hair from returning quickly. 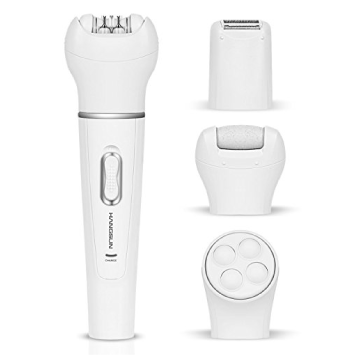 This powerful facial epilator from Hangsun is one you can use as both an epilator or razor for most parts of the body. As an epilator for your face, you’ll benefit from two speed settings to maximize your comfort and a handy LED light that helps you see small hairs. The head is wider than others, giving it a larger surface of tweezers to remove hair quickly. However, this can also make it somewhat challenging for you to get into narrow areas, like the upper lip. People who have used this epilator say that, over time, this epilator becomes even more efficient, removing hair quickly and keeping it away for longer than other devices they’ve used. 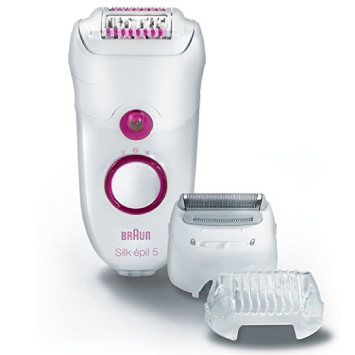 Another epilator from Braun, the Silk-épil 5 Power 5280 is a corded device that includes a shaver head for your convenience. The head of this epilator pivots to move with every contour of your face to ensure the smoothest results possible. While you glide this device along your skin, it will provide a pulsating massage to give some stimulation back to the under layers of skin and reduce discomfort. Several customers mention that this epilator is helpful for easing beginners into the process because it provides all the tools you’ll need and gets the job done quickly. 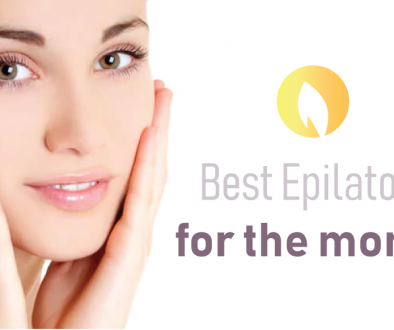 You want to find the best epilator for your face and neck, so it’s important to know why you might choose epilating instead of waxing or shaving, what features to look for in an epilator, and how to use one on your sensitive facial areas safely. Many people are nervous about using an epilator on their facial hair because the face has some of the most sensitive skin. However, the right facial epilator meant for taking care of those pesky chin, upper lip, and neck hairs can make a difference. Shaving can leave unsightly red bumps behind, especially if you use an inexpensive or dull razor blade. It’s also challenging to get a close shave around the contours of your face with a razor. Waxing can be incredibly painful, especially on the delicate skin of the face and neck. Epilators meant for your facial area have a small number of tiny tweezers that can grasp even the tiniest hairs, which can leave your skin smoother than it would with shaving. They can also remove hairs more quickly and with less pain than waxing. Since epilators grasp hair from the root, they’re also more likely to keep hair from coming back for a longer period of time than waxing or shaving. The best epilators for face and neck are generally not the ones that you might choose for other body parts, like your underarms or legs. Facial hair epilators are usually smaller to fit the face comfortably and are designed to move around your facial contours with ease. Adjustable speeds: You don’t typically need a high speed when epilating the face because too much speed can irritate your sensitive skin on the upper lip, chin, and neck. Having adjustable speeds can let you set the epilator to a speed that you’re most comfortable with. Portable: A bulky, heavy, and corded epilator won’t work well with your face. Choose one that’s lightweight, compact, and cordless, so it’s easy to move wherever you need it. Small number of tweezers: You won’t typically have a lot of hair to remove on your face, so a small amount of tweezers can still remove hairs on the face while reducing pain as much as possible. Wash your face with mild facial soap. Dry your skin thoroughly by dabbing it with a clean towel. Power on your epilator and set the speed. For beginners, start at a slow speed. Position the epilator over the part of your face you’d like to remove hair from. Using gentle pressure, glide the epilator over the area in the opposite direction of hair growth. Continue this method for each area on your face from which you’d like to remove hair. Turn off the epilator. Remove the head and rinse it with warm water until you remove all hair. Lay the head on a clean towel to air dry. 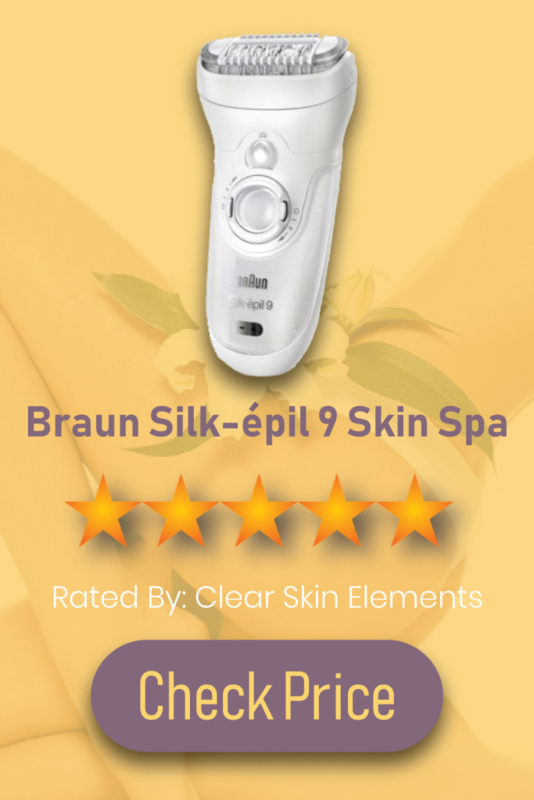 The Braun Silk-épil 9 9-961V is the clear winner in our book. This device is more than just an epilator; it includes everything you’ll need to get started with your facial hair removal while helping to stimulate your skin with exfoliation brushes and soothe it after with a massaging pad. This cordless device also has a LED Smartlight to make it simple for you to see even the most challenging hairs for the smoothest result. 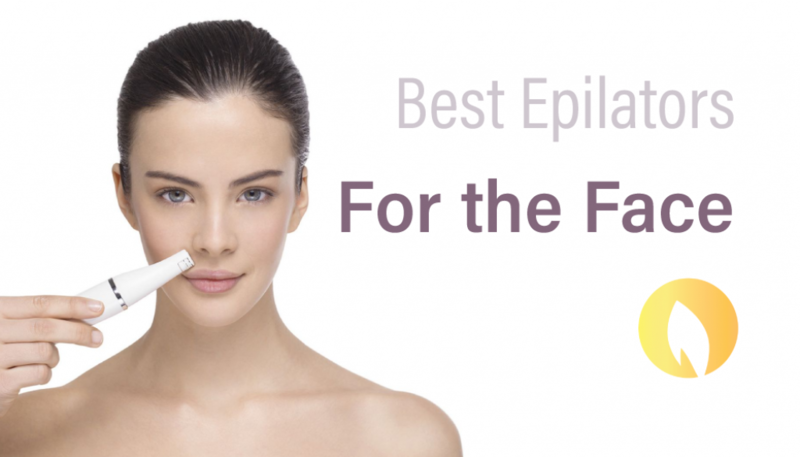 We hope our informative reviews of the best facial epilator helped guide your decision so that you can choose the right facial epilation product for your needs.